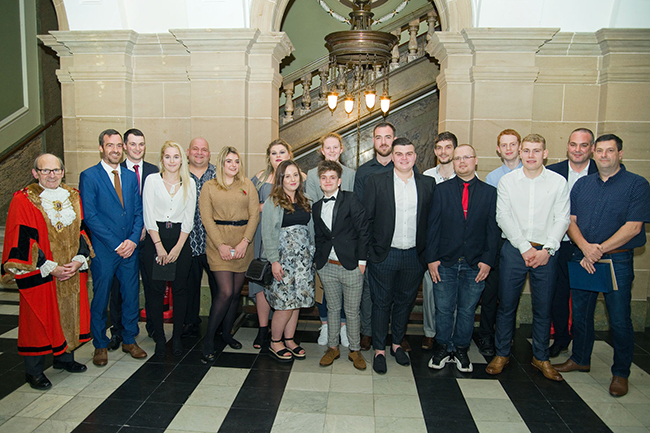 Hull Training and Adult Education has recognised the achievements of apprentices, learners and businesses at their annual awards ceremony which took place at The Guildhall, Hull on Friday 9 November. A distinguished panel of judges, including local employers, past apprenticeship award winners and partners, had a very difficult task filtering nominations before making their final awards selection. Irrespective of whether or not they collect an award, all the finalists are winners. Each has an inspiring story to tell, making them true ambassadors in their field. The awards are sponsored by local companies who are all passionate about providing apprenticeship and work placements to local people. 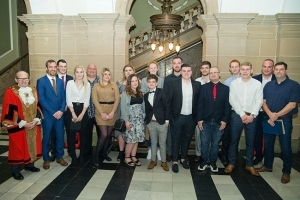 The host for the awards was Blair Jacobs, and he was joined by a range of speakers including The Lord Mayor of Kingston Upon Hull, Councillor Pete Allen, Tracy Harsley, Hull City Council’s City Manager, Tony Wilson Gardner Aerospace Limited, Site Director – Hull, Carla Furlong apprenticeship award winner 2017 and Nick Bettney Award Winner. Councillor Pete Clark, Portfolio Holder for Learning, Skills and Safeguarding Children, said: “These awards celebrate the hard work of apprentices and learners who have shined, challenging themselves to learn and develop new skills. “Businesses across the Hull and the East Riding have the opportunity to build a pool of high quality future recruits for their sector providing on-the-job training, while helping young people take their first steps in the world of employment. The awards are a celebration of the successful partnership Hull Training and Adult Education have with employers and partners from across the region to acknowledge the employers and partners who have gone the extra mile in supporting learners in the workplace. Visit www.hcctraining.ac.uk or call 01482 615 349 for more information on the apprenticeships and courses that Hull Training and Adult Education offer.